Managing dependencies via coordination is an effective solution for the problems that arise from these interdependencies in supply chains. This can be practical via a set of methods called coordination mechanisms. Numerous coordination mechanisms have been discussed before in literature. This paper develops a new classification of these mechanisms on the basis of information technology (IT) impact on them. This classification proves the important role of IT in better coordinating supply chains and help managers distinguish between coordination mechanisms that are created and improved by information technology and thus lead them to have the best choice based on their infrastructures and organization type. Coordinating is one of the best responses of the dependencies that appear between organizations in a supply chain which can improve the overall performance. It can be applicable via a set of methods called coordination mechanisms, for managing interactions (Xu & Beamon, 2006). The importance of coordination mechanisms is somehow that coordinating without a preplanned set of mechanisms managed by supply chain manager is impossible today. Several coordination mechanisms had been mentioned over years but few papers had been classified them in a structural manner. The importance of information technology as a new solution and a tool for improving the effectiveness and efficiency of the whole chain in another side, lead us to develop a new classification for supply chain coordination mechanisms based on IT. Obviously, this study tries to help managers distinguish IT-facilitated and IT-enabled coordination mechanisms in the process of selecting mechanisms based on existing budget, type of their enterprise, and infrastructure. The purpose of this paper is to describe different coordination mechanisms and suggest a new classification based on information technology. By this classification, the significant role of IT in coordinating supply chains will be proved. This paper is organized as follows. 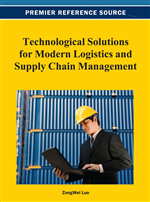 First of all, the concepts and definitions of supply chain and coordination will be described briefly. Furthermore, to develop a better understanding of the existing classifications, a detailed review about them will be mentioned. Followed by, information technology and its impact on coordination mechanisms will be discussed in detail. Then, our discussed IT-based classification will be proposed. And the article finally will be finished by conclusion. Supply chain consists of all activities related to product flows and conversion of materials from providing raw materials to delivery of final products to end users. It also involves information flows related to them. Beside of material flow, two other flows, information flow and financial resource flow, also exists which add value for customers and other stakeholders (Liu et al., 2005). This process needs a management to effectively integrate independent supply chain members to act as a unified system in order to minimize system costs and satisfy member requirements (Simchi-Levi et al., 2007).